Wow! Orange County NORTHERN SHRIKE! 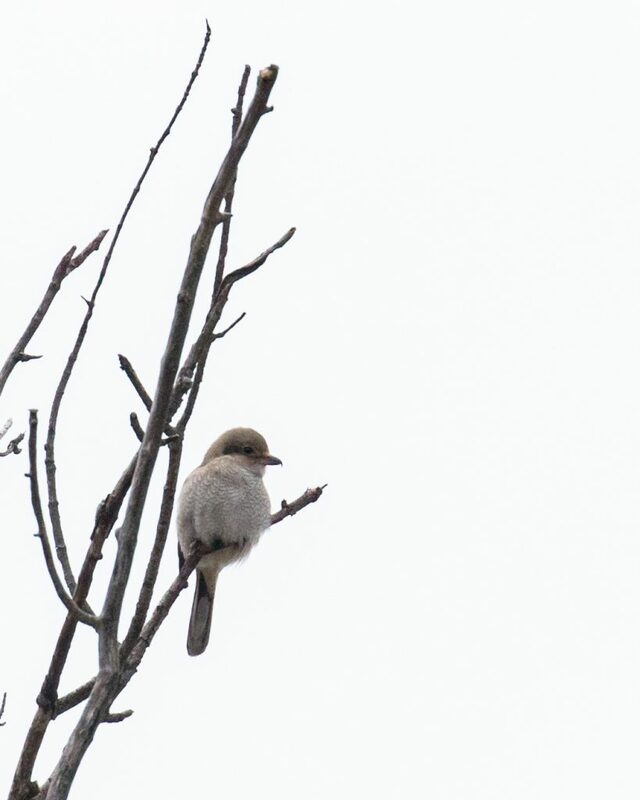 This morning Jody Brodsky reported an immature NORTHERN SHRIKE at Kendridge Farm in Cornwall. I was already out birding, but I dropped all my plans and headed straight over. When I arrived, I wandered around a while and then reached out to Jody for more details. Karen Miller, who was doing the Christmas Bird Count with Jody, called me and gave me the low down. I was unable to locate the bird where they had it earlier, but I was waiting it out when Jim Schlickenrieder reported on the Mearns app that he had the bird on the red trail. I hustled over there but missed the bird; it had flown and we were unable to relocate. Jim and his crew left and again I waited in the area where they had last seen it. Finally, I gave up and decided to call it a day. On my way out, in the general area where Jody and Karen had it earlier, I heard a call I did not know. I stopped the car and eventually located the shrike. As soon as I got on the bird, it took flight, chasing a songbird. 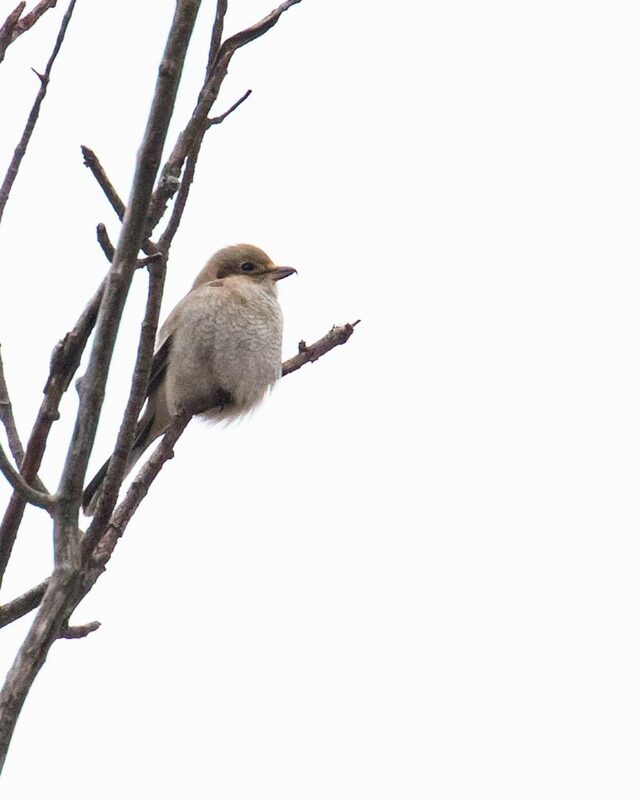 After a short flight, the shrike perched on the top of another tree and stayed put for a good while. I took photos, which were difficult in today’s light, and I enjoyed fantastic looks in my scope. At one point, while I was watching in the scope, the bird expelled a pellet! It was so awesome! It was a great ending to a day where I thought luck was not on my side. The NORTHERN SHRIKE is OC bird #224 for 2018, that’s 2 county year birds in 2 days – not bad for mid-December! Huge thanks to Jody and her team for locating and reporting the bird. Your perseverance paid off !